So why do we like this gown? You can imagine how many wedding dresses we see in a week. This one came across as being a little different from the rest. We like that it incorporates a major amount of lace in a way that isn't frilly and we love seeing a gown that still looks like a wedding dress even though it isn't white. It's also very cool that this look was created for a plus-size line in a way that doesn't leave the bride swamped in miles of extra fabric. But that's just one opinion. Tell us what YOU think. First, prepare five glasses by coating the rims. 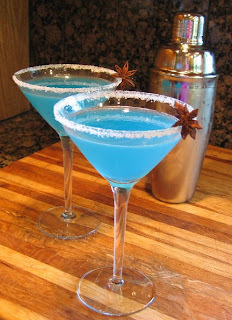 To do this, dip the rim of each glass in lime juice and then salt. Next, combine all ingredients in a blender. Fill with ice to 5-cup level, and process until smooth. Serve immediately. Makes 5 servings. I have gotten many questions from potential clients about the role of site coordinators vs. wedding consultants – and why a couple would want or even need both. I have alluded to the advantages of hiring private consultant in another blog entry, but here, I would like to touch on the advantages of having both the site coordinator and a wedding coordinator as part of your team. I always feel that having 2 people is better than 1, and three people better than 2. A thousand things can come up on your wedding day, and I feel it is always better to have more people rather than less to attend to those details and ensure your perfect day. In this day and age where money is tight and time is not abundant, companies are attempting to become one stop shops. I have even witnessed some venues attempting to market only their coordinator by shutting out others – charging more money to have a coordinator, or not allowing private consultants at all. This is not good for anyone – the couple or the venue. I will be the first to admit that private consultants are not innocent all together. Inexperience in the industry is abundant. Not only venues, but other vendors, have had bad experiences with inexperienced planners/coordinators. I have experienced people being very reluctant and even hostile prior to working with me. Needless to say, the attitude changes after seeing how I work, but it doesn’t make it comfortable in the beginning. Site coordinators are absolutely wonderful! More times than not, they have done hundreds of weddings at the venue and knows what works and what doesn’t. They give advice of a person with experience. They have a handle on the food (if the site has its own caterer) and can work with the consultant to coordinate the food and timeline. Often times, they can also handle rental deliver and pick up (if your caterer is not handling those details). On the other hand, private consultants can help you to plan/coordinate the day as a whole – and tend to those details which are not handled by a site coordinator, such as delivery of flowers, pick up and drop of times of limos and other transport, and arrangements with stylists, just to name a few. There have been a few occasions where I am setting up the reception; something comes up where the Bride or Groom needs me at the ceremony site earlier than expected. I have gone to the site coordinator, gave her my set up list and asked her if she could continue while I tend to other details. Likewise, I am able, and have, picked up for the site coordinator when things have come up. Often times, the ceremony is elsewhere, where site coordinator doesn’t have jurisdiction. Your private consultant can oversee your entire day, while the site coordinator and consultant oversee the success of the reception together. In the event the ceremony and reception are in the same place, you have two people overseeing everything. Why should this be a bad thing? The couple is covered pre-ceremony by the consultant. The consultant will know all the details regarding flower delivery, photography schedules, and hair and make-up schedules. You will then have multiple people helping to line up wedding party members and cue musicians. The consultant and her/his team are tending to details and the site coordinator and his/her team can tend to other details. When everyone communicates and works together, everything runs smoothly. The downfall of private consultants, especially inexperienced ones, is that they are intimated by venues with site coordinators (which happen to be almost all venues). They often feel that they have to “run the show” to the detriment of others. The downfall to site coordinators is that they have done hundreds of weddings at the site and know what works and what doesn’t. Often times a fresh perspective is exactly what’s needed. The ability to have confidence in both coordinators is paramount. The ability to be professional and work together is what will make the most perfect day for the Bride and Groom – which should be the ultimate goal. Yes, it's that season again. 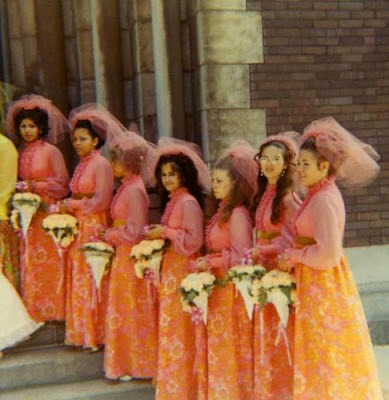 For the seventh year Filene's Basement is holding its "Running of the Brides" events in major cities all over the country. Each sale is a virtual stampede for designer wedding dresses marked up to 90 percent off. Want to get in on the, er, action? Chances are, the Running of the Brides is coming to a town (almost) near you. Some ladies like monograms, some like bling, others like a platinum effect. We like this flute set because combining all three qualities makes it a triple threat. An in-depth knowledge of tabletop products will make registering for your gifts easier and will allow you to make better choices. Based on your lifestyle, level of formality and amount of entertaining, you will be able to register for the products that are best for you. Even though the word “china” is used to describe every type of dish on the shelf, there are discrete differences in the different types of dinnerware. Dinnerware can be divided into 3 basic groupings; earthenware, stoneware and china. Earthenware – is the least expensive option. Earthenware is heavy and opaque. Fired at a much lower temperature than china, all earthenware is thick, porous and covered by a bright glaze. The value and quality of earthenware depends upon the care with which the manufacturer uses in making and decorating it. Earthenware lends itself to color, often bright and gay. Don’t let its thick appearance fool you, earthenware is the most fragile of dinnerware and it will chip or break easier than china. Because of its porous property, it will absorb grease and water readily. Stoneware - Stoneware bridges the gap between earthenware and china. Like china, it’s fired at higher temperatures so it’s hard, smooth and non-porous. However, it’s made of course and sandy clays which burn into a dark color. It has an earthly appearance, but lacks the delicacy and translucency of fine china. Ironstone is a type of stoneware that has a better than average strength. Fine china – Fine china is ceramic ware made from super refined clays and powdered minerals. It’s fired at intense heat for long periods of time. China may look fragile, but it is very strong. It withstands chipping and cracking better than other types of dinnerware. Due to its non-porous properties, it will not absorb water and grease. There are different types of china available. “Bone china” if fine china with bone ash added to the clay. Bone ash makes the final product whiter than other china and porcelain. It doesn’t affect strength or porosity, only color. “Informal china” is china made for informal use. Less expensive than fine china, it is non-porous, translucent, and strong and resists chipping and cracking. It’s an excellent choice for breakfast, luncheon or patio dining. “Porcelain” is also made from refined clays and minerals. The main difference between porcelain and china is the temperature of firing. Both porcelain and china are equally durable. • Do not stack plates together or they may scratch. Make sure to register for rubber racks designed to stand plates on their sides. • Rise vinegar, lemon or salt at once from dishes that are decorated with gold, silver or colored over glaze patterns. • Do not stack china when preparing it for washing. • Wash china in warm water. Avoid scouring pads as they scratch intricate decorations. • Use a soft brush to wash raised decoration, enamel, gold, silver or embossing. • Fine china, even with gold and platinum decorations, may be washed in the dishwasher – provided that a mild detergent is used. Have you met our Bride of the Month yet? 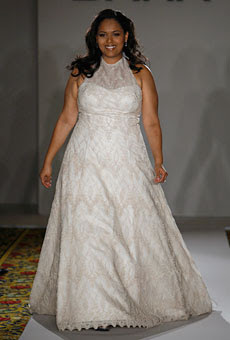 She is dayvine1, who recently married her best friend in Rahway, NJ. She was a great example of a resourceful, do-it-yourself bride. She took on several DIY projects and even designed our fabulous blog banner while planning her wedding! In addition to web design and custom illustrations, she also does wedding monograms . So check her out if you're in need of something made just for you. Asmara and Kenn were wed in ceremony which combined African-American and Eritrean traditions. Each wedding venue presents its own unique and non-unique styles, advantages and disadvantages. Home weddings are different. Home weddings not only allow for the complete customization of the ceremony and /or reception, but they provide a venue rich in personal history and memories. We love planning home weddings because we can utilize the history and experiences to create an event that you will never forget. 1. Site fee – There is not a site fee, per se, but you do not get what you would at an established with a site fee. For example, landscaping. Does this simply mean mowing the lawn, or would you have to do more? If you start far enough in advance, you can plant trees and shrubs that will be more established on your wedding day. On short notice, if you are getting married in the spring, plan many tulips and daffodils in the fall. They are relatively inexpensive; they are gorgeous and abundant…even on the first flowering. In the fall, mums are the choice. They look great in numbers, you can buy them already flowering and you can get them anywhere. Marrying in the summer, and planning a year in advance? Hydrangeas are nice, and have nice deep green foliage. Whatever you choose, manicured trees and shrubs are great choices. Also, do not forget to treat for mosquitoes and ticks. IF you have enough time, make sure you do a few lawn treatments so that you grass is in great condition. 2. Weather – Unfortunately, as much as I would like to say that I do, I do not control the weather. Just like any outdoor affair, you have to be very comfortable with this variable. Make sure to plan appropriately, and be comfortable with your plan B. 3. Rentals – A tent is an absolute essential. You want to protect your guests from the elements, and is essential for a rain plan. If you have your heart set on an un-tented affair, talk to rental companies about reserving a tent (make It your plan B). Is your ceremony/reception close to the house? Does your house have enough electricity for the band/dj, tent lighting, caterers and bathrooms, or do you need a generator? What about water? Are you going to run the water line off the house or do you need an external water supply? 4. Facilities – A necessary evil. Make sure to budget for port-o-potties. They have very nice trailers available. I would not take the chance that the plumbing in the house will hold up. Here are just some of the items that you need to think about. There are others, but this will give you a good starting off point. Before you start planning, make sure you invite a caterer, tent company and event planner out to your home. Good people with experience can give you a good idea of what you can and cannot do with your space. We're starting to think today's bridemaids have it easy. Well... when it comes to wardrobe, anyway. Even if they don't like the dresses or shoes, at least they don't have to contend with a veil. A veil for bridesmaids? Apparently, it was commonplace not too long ago. Take a look at this picture, pointed out by GlobetrottingBride . 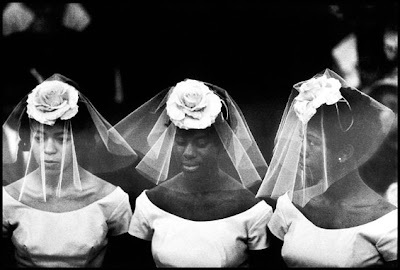 And here's a Bruce Davidson photograph of bridesmaids at a wedding in Harlem in 1962. I spent the last blog speaking about lower budget weddings. I do not want to ignore medium to high budgets because these couples face challenges as well. 99% of my clients are in this range – the infamous middle. The budget is large enough to splurge on a few things, but not large enough to go all out on everything. Choices have to be made. If you fall into this group, I have one word for you: prioritize. A couple decides to get married at her childhood church and have her reception at a chic hotel inside a large city. They have considered all of the fun stuff; such as, site fees, rentals, food, flowers, lighting and the like. What haven’t they considered? Where are her guests going to park? In larger cities, often times it’s meter parking on the streets – even on a Saturday night. Sometimes it’s very pricy garage parking at the hotel, or less expensive (if you are lucky) garage parking 2-3 blocks down from the venue. By the time the couple realizes the problem, they do not have money in the budget to provide transportation, pay for valet, or pay for parking spaces. So, in the end, the couple has a very nice wedding, but their guests have to navigate foreign streets, pay for a pricy parking spots, walk a few blocks, or park on the street and worry about getting towed. Another sometimes overlooked area is the bar. Do what you can do for your budget and leave it at that. A few hours without alcohol is not going to kill anyone (at least I hope not!). I am not advocating that you have to offer a high end liquor bar, or no liquor at all; but if you offer it, then you should pay for it. When you start planning, make sure that you ask the right questions. A beautiful venue is important, no doubt, but it’s not the only aspect of a successful event. Make sure to budget for food, bar, transport/parking, wait staff, tips, service fees, tax, linens, tables, chairs, etc – and then decide if this is something that you can/want to do. This way, you will have a complete picture – there will be no surprises, and you can make your choices accordingly. I know it’s hard to make these decisions because you might want everything. It’s also easy for someone to come in and say – you should do this or you should do that. That’s where prioritizing comes in. Only you can determine what’s most important. After determining how much the chic hotel is going to cost, maybe you would opt for another site so that you could have your name displayed on your dance floor. Or, maybe you decide go with the chic hotel, but decide to downsize the bar. No matter what choices you make, your guests should never be prioritized last. Not to jump on the bandwagon... but this Cole Haan-designed number is getting a lot of ink (and cyber ink) from wedding-watchers this month, partly because it wasn't created to be a bridal shoe. The Ceci Air Rose just happens to be what many Spring/Summer brides-to-be are looking for - something modern, sleek, and a tad girly. 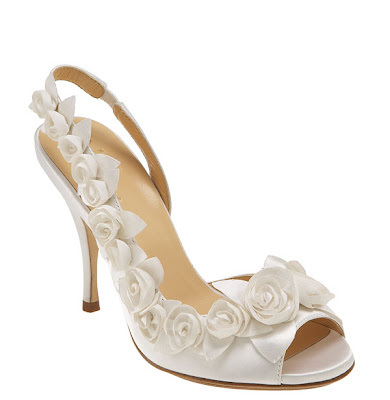 It's a delicate satin slingback with rosettes on a 4 inch heel with a Nike Air sole. Available at Nordstrom and Neiman Marcus. 428 buckaroos. Rihanna & Chris Brown Back Together? That's been the word all weekend from the blogosphere. Now Rolling Stone, iVillage and E-Online are confirming that the pair is working on reconciling at P-Diddy's house in Miami. Assuming it's all true, what do we think about this given the allegations?